Really enjoying having legendary Mountain biking downhill commentator Rob Warner doing the commentary on the live Red Bull Superenduro show! You can see the full event here. 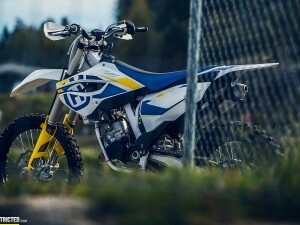 Also Interesting to see that Taddy has switched to the 300EXC 2 stroke and seems even more dominant than he was on the 350 and 250 4 strokes! 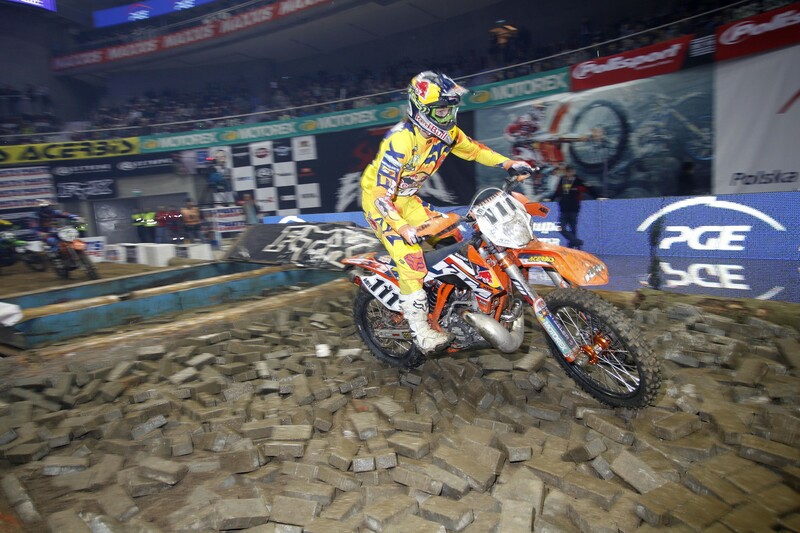 Red Bull KTM’s Taddy Blazusiak rose to the occasion in front of his home crowd in Gdansk, Poland on Saturday night to take an undisputed win in the opening round of the 2014-2015 FIM SuperEnduro season and to lead a KTM sweep of the podium places. 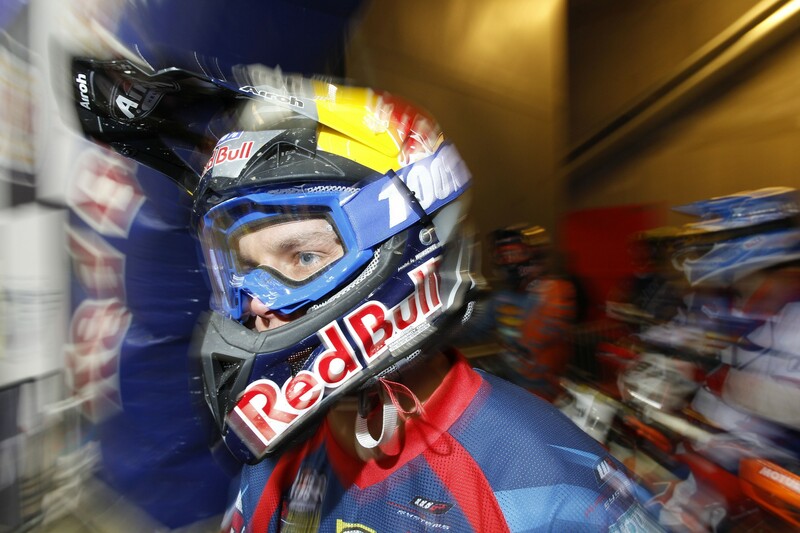 Blazusiak, a Red Bull athlete who already is a five-time champion of the competition won all three races to finish a clear 12 points in front of David Knight of Britain and American Cody Webb, who has recently switched to a KTM. 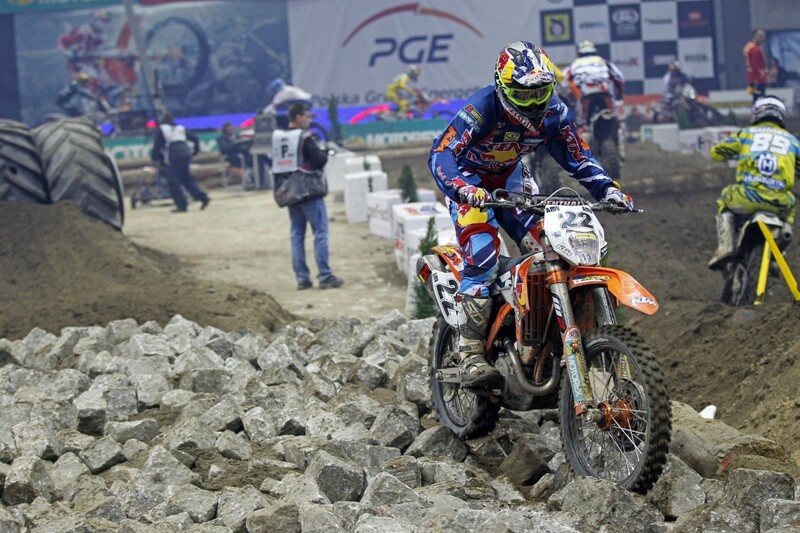 Britain’s Jonny Walker, like Blazusiak also a KTM factory rider finished fourth overall. 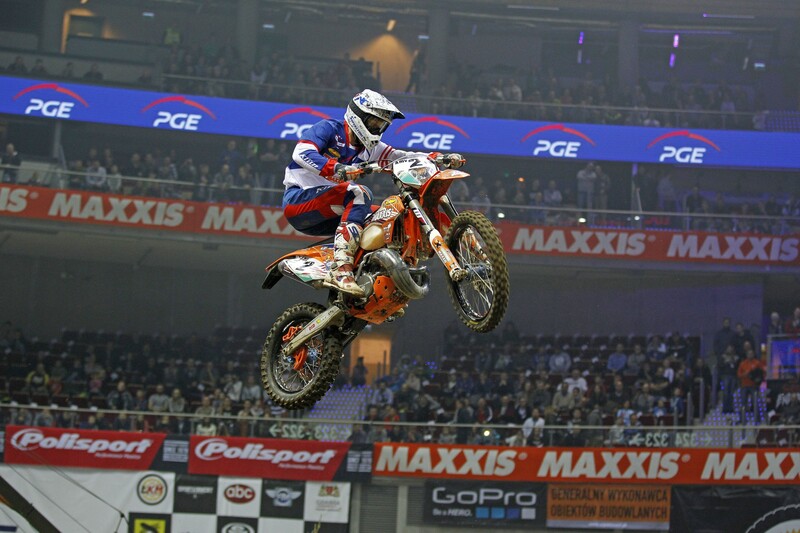 Blazusiak, who is now riding the KTM 300 EXC 2- stroke made an amazing recovery in the opening race to go on and take the win. He crashed in the first corner with Jonny Walker and came from almost dead last to take the win in the last meters of the race. Race Two started in reverse order with the slower riders in front but Blazusiak had moved from the back of the pack up to third in the first minute and was tucked in behind fellow KTM rider Mario Roman. 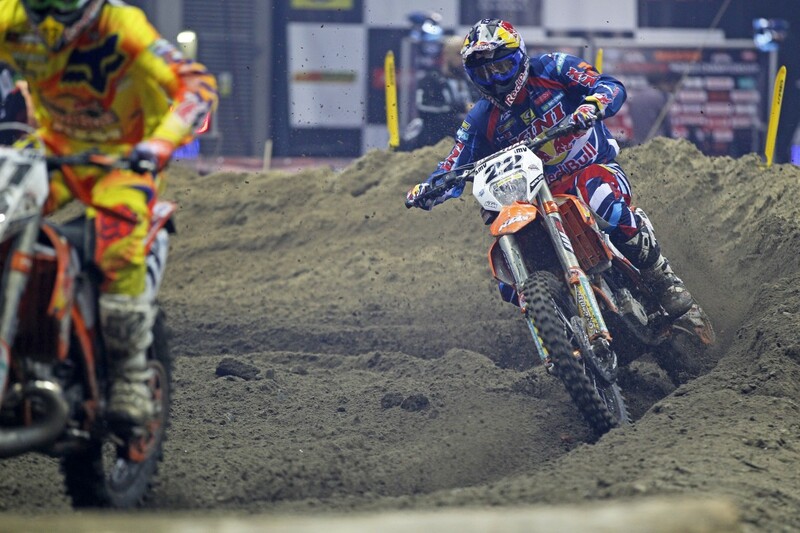 Three minutes into the six-minute plus one lap race he hit the front and stayed in the lead even after colliding with a back marker in the latter part of the race. 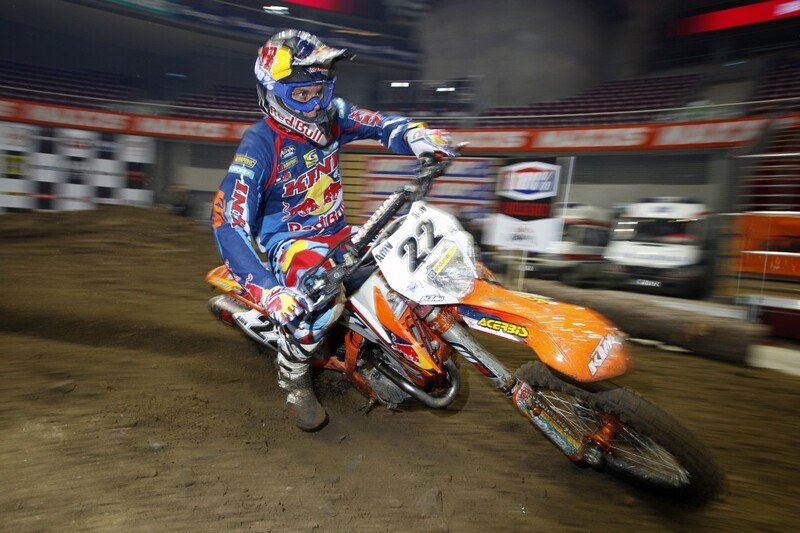 He then went on to control race three right from the gate drop, winning by a comfortable 22 seconds. 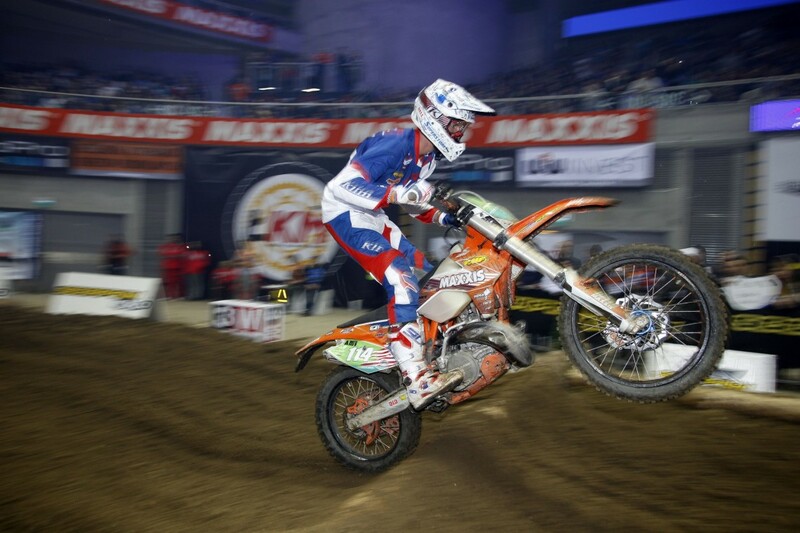 The veteran David Knight, who has returned to ride a KTM said he was very pleased with his second place. 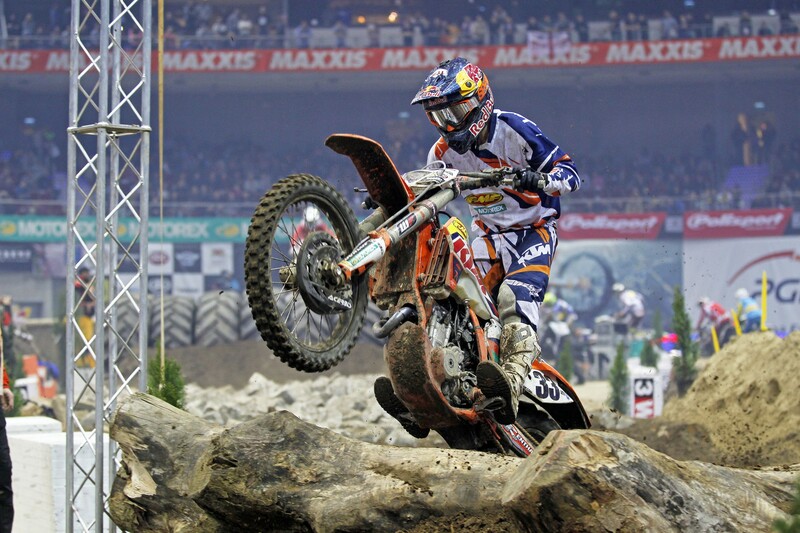 “I’m really missing a lot of race practice so to finish second was massive,” he said. 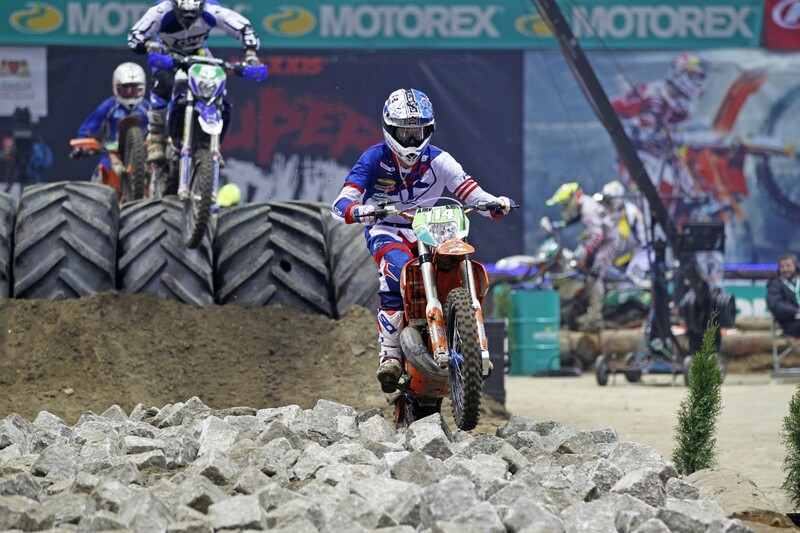 Third placed Cody Webb, winner of the 2014 EnduroCross Championship led in a strong contingent of US riders but said it had been a rough night. 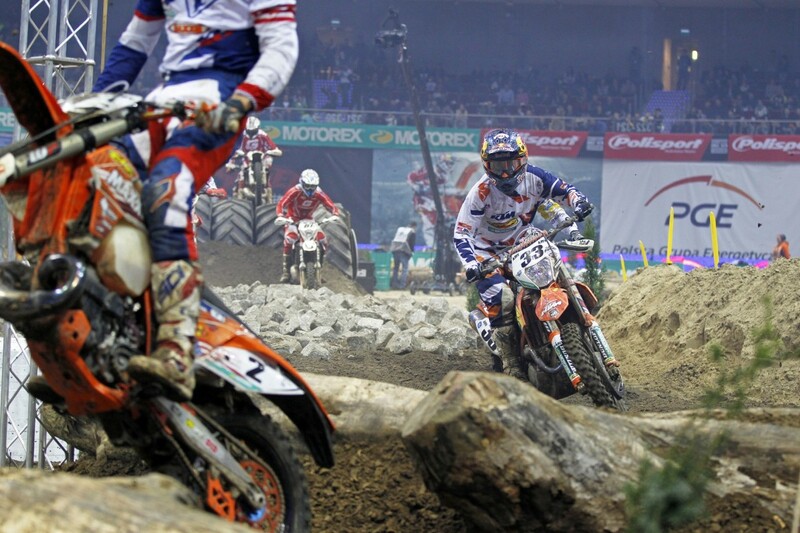 He led the opening race and looked set to take line honors but crashed in the logs and had to settle for third. 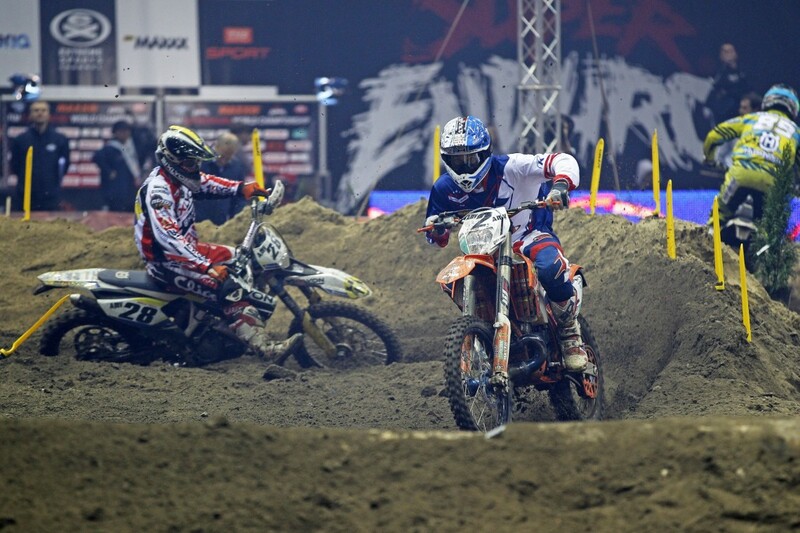 His 3-7-4 results was enough to give him the minor podium place. 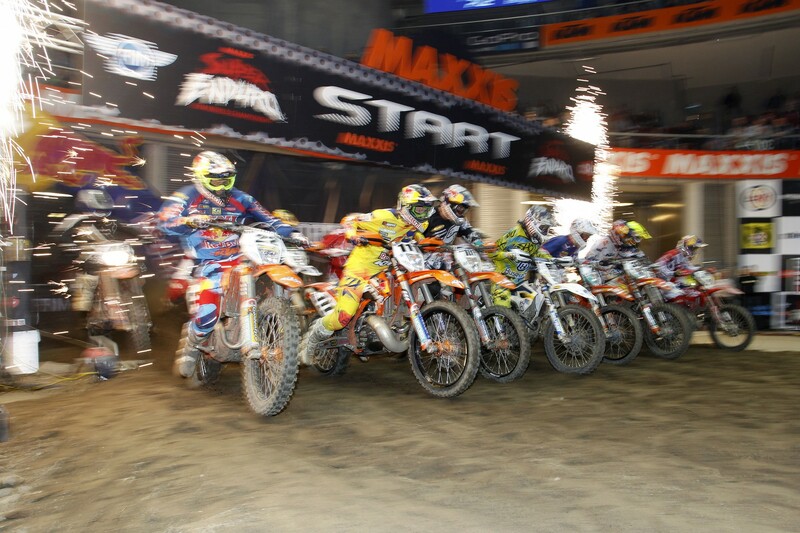 The Junior Class was also safe in KTM hands with three race wins going to 19-year-old American Ty Tremaine. 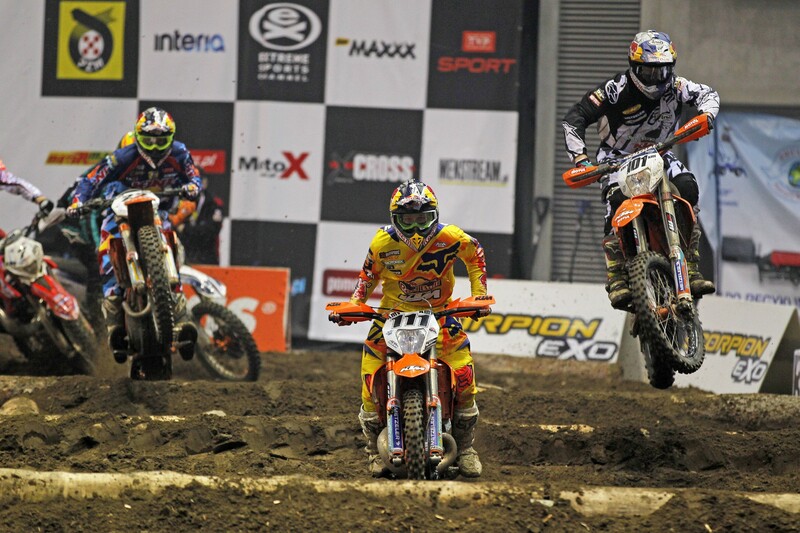 The next round of the championship is in Germany on January 3.